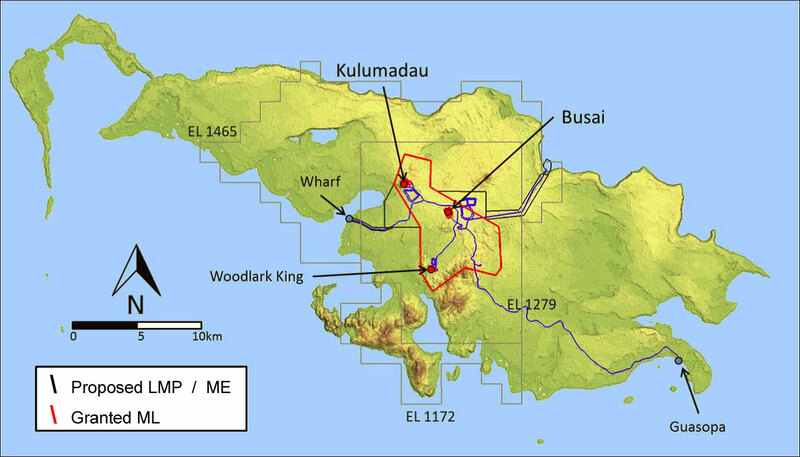 The Woodlark Island Gold Project is located approximately 600 kilometres east of Port Moresby on Woodlark Island in Milne Bay Province, in Papua New Guinea. 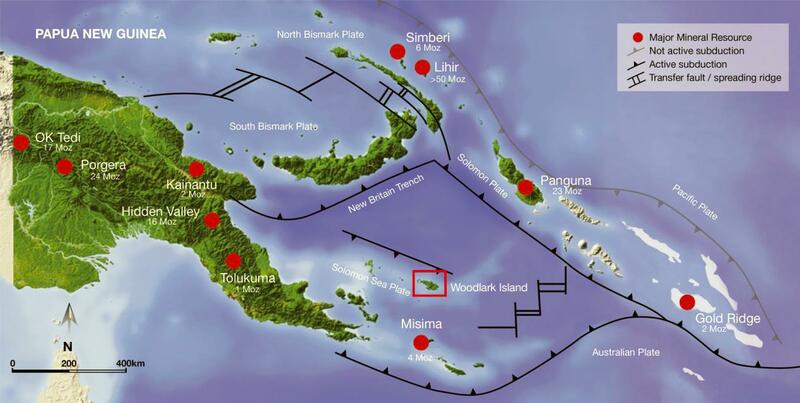 Woodlark Island is located in the Trobriand Island Group in the Solomon Sea, a reasonably large island, about 912 square kilometres, but remote and relatively isolated. The island terrain is relatively flat with some low, undulating hills, generally heavily forested with tropical jungle and has an average annual rainfall of four metres, a temperature range of 29 to 33 degrees and average relative humidity is 90%. The population of Woodlark Island is approximately 6,000 traditional landowners in a number of different population centres, living a mainly subsistence based village lifestyle. The village of Guasopa, located at the south-eastern end of the island, is the base of local level government and the location of the World War II American built airstrip, which is now the main airport for the island. The Project is linked to Guasopa by an existing road allowing transport of personnel, provisions and equipment. 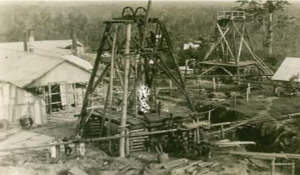 The island has a long history of gold mining dating back to the late 1800’s with records showing an estimated pre World War II gold production, including alluvial sources, of about 220,000 ounces of gold. The island has been extensively logged for ebony which has always been an important cash economy to the communities on Woodlark Island since the 1970s. A significant part of the Project has been logged for ebony in the past, however, some ebony trees are still present. 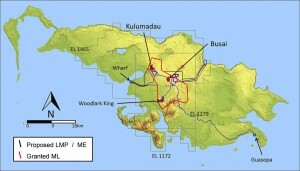 Modern gold exploration was initiated on Woodlark Island in 1962 with the Bureau of Mineral Resources (BMR) undertaking surface geochemistry, limited geophysics and diamond drilling during 1962 and 1963 at Kulumadau. 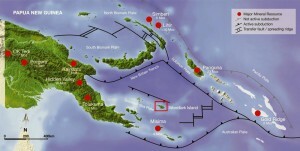 Woodlark Island, has been subject to 40 years of mostly continuous modern exploration without sufficient Resources being established to warrant investment in a mining operation. Exploration in the past concentrated around the old historical mining centres of Kulumadau, Busai and Boniavat, with the early exploration strategy being heavily dependent upon surface geochemistry, geophysics and geological mapping.